Another small Hahniid, body length less than 1mm. This specimen appears to be blotchy with black pigmentation quite hairy underneath with the obvious lengthened outside pair of spinerrets in the typical Hahniid row. 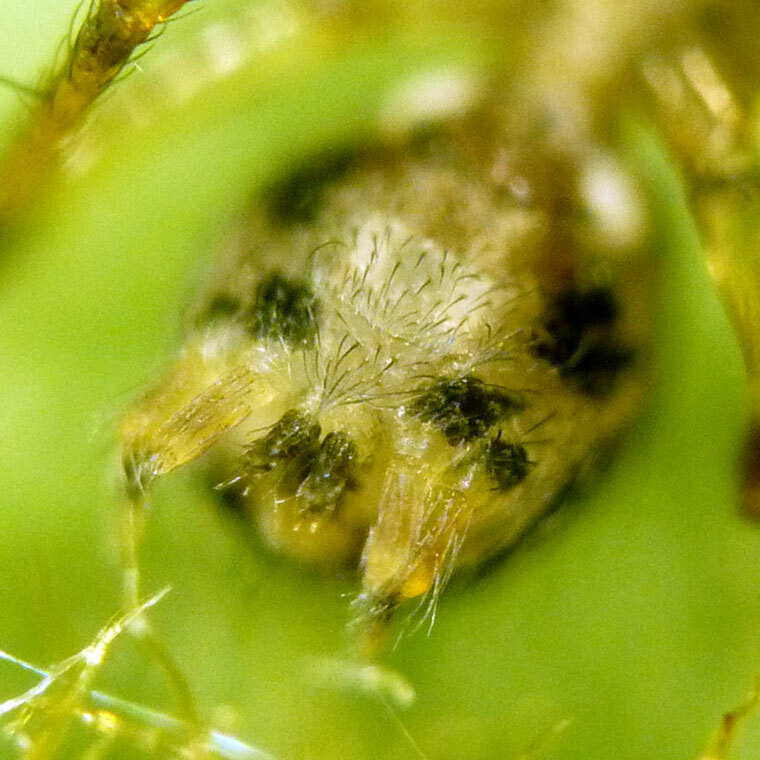 This spider appears to be a mature or sub-adult female, as the epigyne is just visible.